As many of you are already aware, projects often run into three major interrelated constraints: time, cost, and scope. Whichever constraint you face, chances are that it will set you back financially if you don’t get ahead of the problem. So how do you effectively manage your project once you’ve run into such limitations? Even before you enter the planning phase, address areas where your project could face changes at any point in the process. Since many project managers out there attribute their going over-budget to changes that occur along the way, hash out some potential scenarios first. Will you choose to be flexible, forgoing other aspects such as deadlines, scale, or functionality in order to stay within your budget? In other words, will you take an active approach? Or will you move forward exactly as planned and hope for the best, inevitably forcing yourself to go over-budget—a passive approach? This exercise will give you some insight into your project management style, and is something to be conscious of throughout each phase of your project. Hint: an active approach is more likely to save your budget! If you can, identify changes you think should be made in the planning phase and present them to your clients and team. Setting realistic project goals and sharpening the scope of your project can prevent major constraints later on. You can also set aside project areas that can be eliminated or reduced later on, should the need arise. Unless a feature is vital to your project, consider it expendable. Re-visit your project-planning phase. Identify aspects of your project that could be re-assigned to your staff members rather than contracted out. 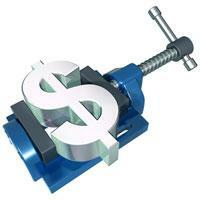 Communicate your budget constraints to your contractors and vendors, and find out if you can gain flexibility there. If you have a positive and/or longstanding relationship with the vendor, they may offer more lenience. Re-evaluate the workflow. Resolving inefficiencies in the basic workflow structure can help alleviate both time and cost. Making sure that lines of communication remain open, that a system of checks and balances is in place, and that you are tracking the progress for future reference are just a few ways you can quickly optimise the workflow. Go deep. When you identify a problem that is contributing to your budget getting out of hand, you may feel inclined to assign blame to your staff. Instead, meet with your staff and try to identify the deeper procedural failings that led to the problem. Source more labour. While it may not be a popular decision, you and your salaried staff can work unpaid overtime to keep your project on track. Otherwise, consider hiring interns and volunteers who need the work experience and will do it for free. Consider investing in budget management software. Options here will vary depending on which project management style you’ve employed. The common traditional project management system works well with simple scheduling platforms, but can also benefit from programs like Microsoft Project or Smartsheet. Regardless of the project management system you follow, be sure to schedule regular checkpoints. The best way to fix a problem in your project is to identify it quickly before you begin to haemorrhage money. Don’t be afraid to get creative. A multitude of small projects have found the extra funding they need through crowdfunding, which not only addresses the cost issue, but also acts as free marketing and community engagement. Of course, crowdfunding is not appropriate for all projects, so use your best judgement there. Crowdfunding is often most appropriate for small personal projects or prototype development. If you are still unable to find a solution to your budget constraints, take the issue back to the client. Explain the factors that led you to the meeting, and then try to work toward a mutually beneficial solution. This strategy should only be employed one time throughout the course of a project, if at all. This is especially true for projects that have already been assigned a contingency budget. When you eventually reach project completion, set aside some time for you and your staff to reflect on what went well and where there’s room for improvement. Debrief and evaluate problem areas of the recent project. Discuss how you can avoid such problems in future projects, or how they could be handled better moving forward. Again, it’s important not to assign blame to your staff. Keep your meeting constructive. Maintain a team mentality, and you’re bound to build an even stronger foundation for your next project to avoid budget blunders altogether. David Grover is a communications manager at Timeo, a useful tool for business in the UK. He's also a freelance career coach, who's always eager to share his experience. In his free time he enjoys travelling. David Grover has written 1 articles for us.